maverickronin, Lyer25 and taisserroots like this. Thank you @Taverius for the opportunity to test out exotic cans on my own system and in my own pace. Apart from knowing these exist I knew nothing else about them. The wood box these come in is of the highest quality, made from what looks and feels like solid wood and I appreciate they kept the typical imperfection natural wood has. Build quality is second to none, everything has a solid feel and you can see they've put a lot of effort in the wood work and frame. Adjusting the cups reminds me of the Abyss, you can't really make on the fly changes like normal headphones and I get a whiff of overcomplicating it just to set them apart for other manufacturers. I don't mind a different design but I cannot get an equal pressure distribution, main issue being restricted tilting of the cups. The top of the earpad has a lot more pressure and wearing glasses becomes cumbersome to the point where I had to ditch them. The bottom half doesn't seal completely and you're left with a small gap. Bending the frame could fix this but they're not my headphones and at this price point they should have tested bigger melons. Design over function. Thankfully this doesn't have any sound penalties but I don't feel spoiled like I should. After tube rolling on my three amps I mainly used the Teton with 6528A for extra power and 27ohm output impedance and a warm slightly rolled off input tube(brimar 13D2) to give the mids a chance. Tried a couple of my best tubes on the Apex Peak but all sounded off, tone was not as it should be, a big treble spike and the midrange felt dissociated from the high end. Stellaris with 422A/AVVT/1539 balanced. Thor does scale a bit but nothing to write home about. The DNA amp can push 1.8W into 50ohm so more than enough for the 47ohm Thor. Bass is light, lighter than I've heard any planar so far. It has good attack and control but I'm left wanting more. Low bass is there but it never rumbles,HD800 has better body and control in sub and HD650 has more impact and a touch more mid bass. Mids are crystal clear but whatever I tried the tone couldn't match the senns. I don't want to say plastic but it doesn't sound natural on voices or instruments. Mids are also pushed back and not balanced with the rest of the spectrum IMO. Not a hint of warmth is found here. Also there's a weird felling of the mids not being connected to the high end. High end is disappointing. It has gobs of attack and they sound super crisp but there's a nasty treble spike somewhere, maybe 8khz. I had to choose tracks that don't emphasise that region but even so they came last in detail retrieval and fines. I can see they tried to make them super airy but don't have enough technicalities and they lose composure fast especially on complex fast rhythm songs. It's like trying to increase detail by using eq to boost 7k+. Brighter than the 650s and less so than the HD800 but the 800s still has exceptional imaging and definition where the Thor starts to smear detail. Soundstage is just wider than the HD650 but they lack any sort of proper depth, most things are on the same plane. Macrodynamics are better than 650s a very impressive first listen but the lack of microdynamics makes them less real sounding, subtle cues are not as present. 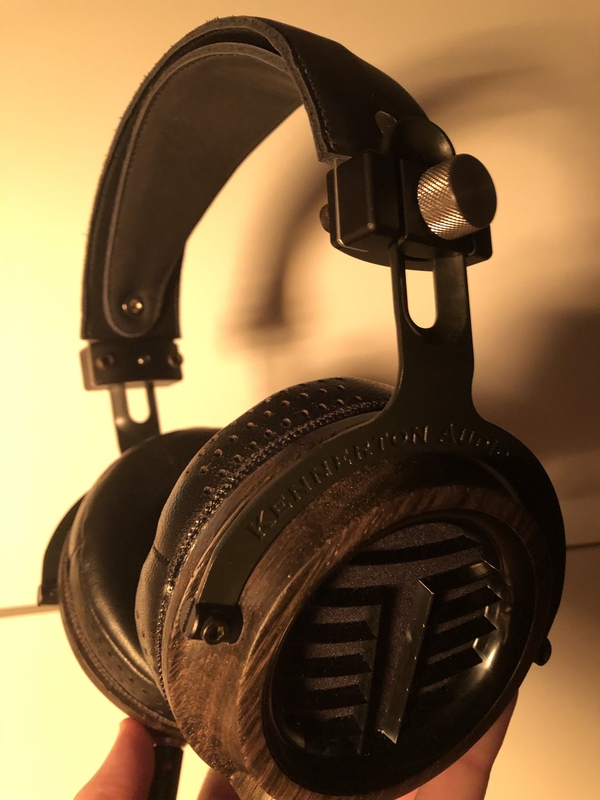 From memory these have better details than the OG Abyss,LCD-3/4, HEK and my guess their party trick, bass is least punchy but at least well controlled, soundstage is above average behind LCD4/Abyss and easiest to amp. With the current screwed up pricing they do sound ok-ish if you want an airy detailed easy to drive planar that sacrifices low end punch, could be comparable to the LCD-4Z. To be fair if I was to hear them two years ago I would have been super impressed but they don't have a place in my current system after scaling the HD650/800 to their absolute best. taisserroots, Taverius, Jinxy245 and 4 others like this. Been listening to these today without comparing them to my other headphones and in a more casual fashion. As such my brain got used to the tonality and didn't find it offensive as I did yesterday. - mids are jack of all trades master of none. - apart from the treble peak the detail and air is quite impressive. I've only heard better on the Abyss Phi and Susvara from planars. It's not my kind of sound but preferences and such. As whole I like them mostly because of the different tuning than most other headphones I've heard but wouldn't get them for myself since they don't do anything better than my current ones. taisserroots, Jerry, Taverius and 1 other person like this. Yep agreed on your points, on the whole. People who knew the Odin, which is dark and bassy were hoping for a generalist headphone. Its not. It does classical and instrumentals real well though. I like it more than Auteur (with Auteur pads) on concerts, for opera it depends. Thanks to @Taverius for offering up his baby for loaner sacrifice, and @MrButchi for overseeing it's running. I’m going in cold on this one having only really looked at the product page. It’s a lovely headphone to handle, feeling solid from top to bottom, with a nice understated mature look. Comfort is okay but it never disappears on your head. 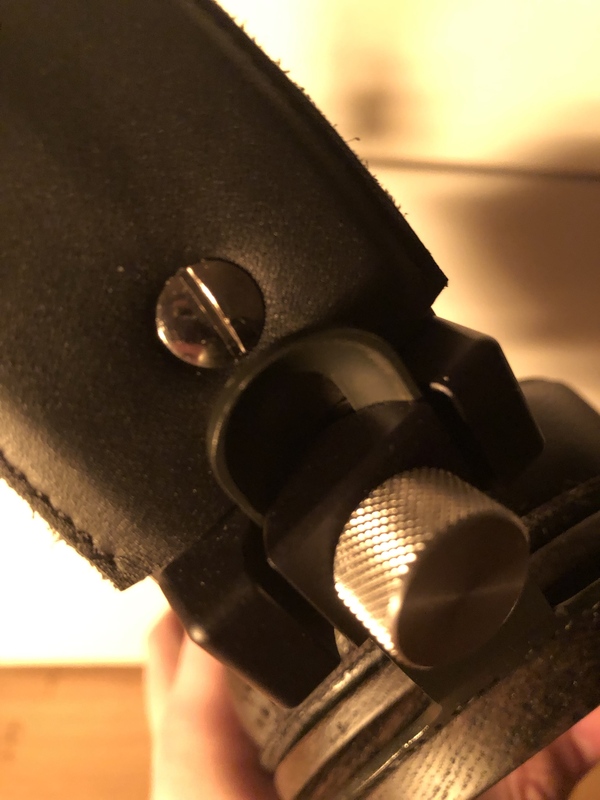 A must for anyone demoing is to first loosen the adjustable knobs and put the thing on your head to get a good horizontal fit as well as vertical because the swivel locks in place this way. Otherwise you’ll have no seal at all. 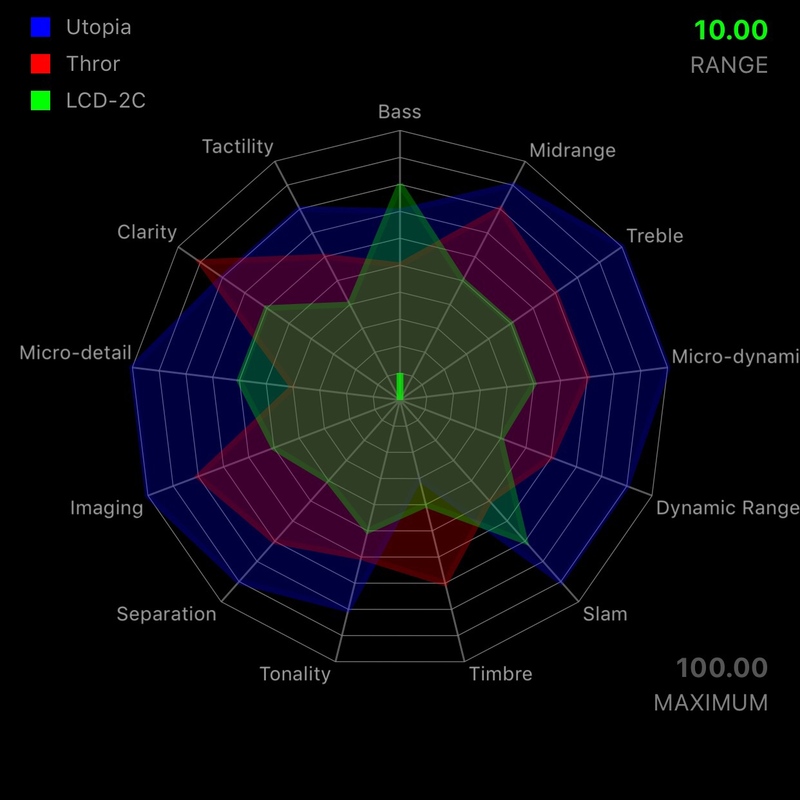 I consider this write up somewhere between impressions and a review, only because the spider chart required a certain level of comparison and specificity, but the methodology lacked a pre-determined set of lossless tracks, looping samples, and A/B equipment. Being time limited I think I tended to focus most on the areas where the disparities were largest, listening a bit more broadly in some more than others. I liked this one overall when not considering price, it doesn’t do much immediately hateful and it has a few strengths over it’s contemporaries but I find it lacking in most other areas of performance. Comparisons were made almost entirely with the LCD-2C and Utopia, with the HD650mod only making it out as a quick timbre check. They were super duper clear sounding. I was surprised just how much so, making the Utopia sound a little distant and unfocused. Though not on the HD650mod's level the timbre is pretty nice and way ahead of the Utopia and 2C, the Utopia was smoother overall but is often unlistenable without other interventions. It’s presentation was only really marred by a lower treble emphasis that had me wincing at times, also sounding tizzy in places, though this seemed easily solvable with EQ. Whereas with the Utopia they end up sounding overly dark when you attempt to compensate for it’s timbre that way. Otherwise they seemed fine tonally (for a headphone), being fairly neutral down low though lacking in bass quantity. To my taste at least they could stand to be a little warmer. I’m so used to just EQing and doing my best to ignore tonal issues that I didn’t think to spend more time here, so my thoughts on it's tonality are fairly broad. Lastly they were more open than the others, though the imaging isn't particularly tall everything has more room to breathe and the vocals were more upfront and in focus. Those were it’s biggest strengths vs the other two; timbre, clarity, and openness. Most other areas were okay to decent. Their level of slam was modest yet acceptable and it extends reasonably well, but it lacked in quantity and was generally behind the 2C in this area which is a fraction of the Thror’s price. Their treble was pretty nice, clear, and sweet but compared to the similarly priced Utopia they lagged. It’s pretty much the same story for vocals, micro-dynamics, separation, and imaging. Vocals in particular though reasonable lacked the magic and micro-dynamic ability of even a HD650. So that’s the general story; decent general performance that lags the Utopia by a number of steps, and isn’t far enough ahead from the 2C given the price. The Thror’s saving graces beating both outright on timbre and cleanliness, and being a reasonable all-rounder. So this is where it gets ugly. They stank on micro-detail and dynamic range. Dynamic range was better than the 2C but leaves you feeling flat when Phil Collins launches into a cavalcade of drum hits, coming across at almost exactly the same volume as that which preceded it. I would describe it as shockingly compressed, just a dead pan reaction from the listener as a dramatic moment is sapped entirely of life. Micro-detail aka Plankton was the biggest weakness, it was dreadful and in fact worse than the fractionally priced 2C. The rendering of small ambient sounds was poor and ham-fisted even when everything else was quiet, and when things got moving again you’re lucky if you hear them at all. There’s an easy-mode plankton test I tried this with too, it’s just a youtube video but it’s fantastic. It’s Marvin Gaye singing solo during a sound check, tapping his foot throughout for timing. Grab your headphones and focus on that foot tapping when he isn’t singing, continuing to do so when he is. Suffice it to say the Thror did poorly even here. Should be taken loosely, and relative to one another. The scale of any one trait is not necessarily comparable to others. Dynamic Range - How quiet you can hear the quietest sound, and how loud you hear the most thunderous, relative to the general volume level. Timbre - How natural it’s presentation, separate to tonality. Tactility - How solid or corporeal sound is perceived, vs how ethereal or ghostly. They excel in neither those traits dynamics are known for, nor those planars are desired, but they have some reasonable strengths of their own at the expense of some pretty heavy trade offs. If you’re married to planars, use EQ, and can get a good price on them, then they may be for you. Ultimately there are much better options at this price. EDIT: Reading through this now I don’t think I was hard enough on it. They’re not outright offensive in most ways, but at this price level they’re extraordinarily disappointing given their lacklustre ability to render plankton, and compressed dynamic range. There are much better options at this price, and in some respects even for much less. PS: Spider charts are a real bugger to do, but a well worthy exercise. I may end up tweaking it a little, in particular reducing the dynamic range rating of the planars. dark_energy, raducutzu, Overkill Red and 16 others like this.